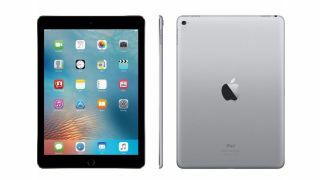 This 9.7-inch iPad Pro Cyber Monday deal is worth knowing about. If you missed out on the best Black Friday 2017 deals for designers, don't worry! There are plenty more savings to be had thanks to Cyber Monday. Don't hang around though, this is your last chance to scoop up a huge discount on top-of-the-range creative products. One of the most exciting discounts we've seen today is this huge deal on the Apple iPad Pro 9.7-inch with 32GB storage for just $399.99. It's worth remembering that this is last year's 9.7-inch Pro tablet, but with the price slashed by a whopping 45% from its $729.99 rrp, this is still a Cyber Monday offer worth knowing about. As well as boasting an impressive price tag, the iPad Pro 9.7-inch comes with Wi-Fi and 3G cellular connectivity. This would make the perfect Christmas present - either to yourself or someone else - so be sure to check it out before Cyber Monday is over. Save $330 - Our friends over at TechRadar have described this discount as the "unicorn of Cyber Monday deals". With 45% chopped off the price of this impressive iPad Pro with 32GB storage, Retina Display and 2GB RAM. Pick it up before Cyber Monday is over. And for other great iPad Pro deals, check out the prices below – our price comparison tool searches all of the main retailers' advertised deals regularly, to help you find a good price.